This event is fully booked! Admissions tests are being used by an increasing number of universities to identify students suitable for their undergraduate STEM degrees. Some of these examinations form part of the university offer and some can be used to lower A level offers on particular courses. This professional development course looks at the three main admissions tests for undergraduate Mathematics degrees, the MAT, TMUA and STEP examinations. The course will also include materials suitable for use in general classes to develop students’ problem solving skills. To provide information about the MAT, TMUA and STEP examinations. To provide an opportunity to think about, discuss and hear others' experiences of supporting students to develop their problem-solving skills. 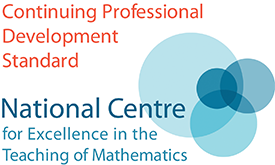 To experience the level of maths in the problems in order to gain insight into the challenges of supporting students to develop appropriate problem-solving skills. To introduce useful resources to use with students. To provide advice on how to set-up problem-solving support in a school or college. To provide information about organisations that support students in preparing for the MAT, TMUA and STEP examinations. This course is suitable for any teacher or aspiring teacher of A level Maths who wishes to find out about university maths admissions tests and the support that is available for students preparing for these examinations. This session will lead you through the key information about the three main maths university admissions tests. Developing a problem solving mind-set In this session you will learn about the mondset that students need to develop in order to be successful when taking admissions tests. In this session you will get a chance to try a variety of questions from the MAT and TMUA examinations and discuss what students can learn from completing those questions. In this section you will encounter some ideas and resources that will help you start your students off with developing their problem solving skills. In this session you will get a chance to try a variety of questions from the STEP 1, 2 and 3 examinations and discuss what students can learn from completing those questions. The final session of the day will look at how you can set up some in-school support for students preparing for admissions tests and find out about the support that students can access elsewhere. Please note that delegate parking is not available on site, although arrangements can be made (in advance) where there is a need. In this case, please contact Alexandra as soon as possible. The Mathematical Institute is a short walk from Oxford Station and the City Centre. Alternatively, the Redbridge-Pear Tree Park and Ride Bus stops right outside. 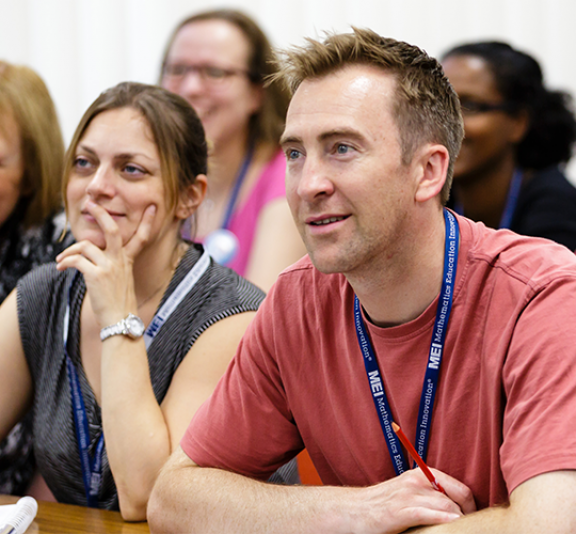 This course is designed for teachers from state-funded schools, colleges and academies. Teachers from independent schools can apply for a place but will not receive any bursary for attendance. All applicants pay a course fee of £50 to secure a place on the course. All state schools, academies and colleges whose teachers attend the course are entitled to a bursary of £200 for every teacher from their school who attends. This is paid on confirmation of attendance by the course leader and is subject to the school/college finance department providing payment details. Schools in Priority Areas are entitled to an additional £50 bursary.